No weapons, no armour, no problem! If you've invested some serious hours into The Legend of Zelda: Breath of the Wild then you'll no doubt recall the first time you encountered a Lynel, a centaur-style monster which packs a serious punch. Lynels are perhaps the toughest non-boss enemies in the entire game, and it should therefore come as no surprise to learn that some players have made it their mission to find new and inventive ways of dispatching them. The prize for most amazing Lynel takedown has to go to DeliciousTea Gaming, who manages to beat the monster with no weapon or armour equipped and only three hearts. To get the job done they use a lump of part-metal rock and the Magnesis Rune. Have you come up with any impressive Lynel tactics? Let us know by posting a comment. Finally defeated a white-mane for the first time earlier today, thanks to the help of a certain Lady Urbosa. I like to hit them with a headshot to stun them, and then use Stasis on them to give myself a bit more time to start up the swinging club spin attack. Lol wow those are some cold blooded tactics against the Lynels'! That's what's up! I've been defeating loads lately to farm Lynel parts for some of the Great Fairy armour upgrades. I've beaten a fair few without taking damage now. The only change in strategy I've made since the first one I fought is that I now approach them with the Lynel Mask on, get within sword's reach, then take it off. Gives you a few more precious seconds to get some hits in before they start to retaliate. Delicious Tea Gaming: He will rock you? I love how this is becoming a sport. I haven't beaten Lynel once yet. If I find I can't when I try in earnest at least there are some useful videos to watch! These guys need to test their mettle against two lynels at once, if possible, and post the results. I've been avoiding all of them thus far (except for a red one, needed a Lynel Hoof for a sidequest) but once I am done with my Korok Seed hunt, I will hunt all the overworld bosses to get those medals from Kilton. Poor Persona 5, won't get played for at least one more week. Urbosa's Fury turns these guys (and basically all enemies) into a cake walk. Where is the locations of the Lynel from the videos? Especially the one from the first video. I do not think I have come across him yet. 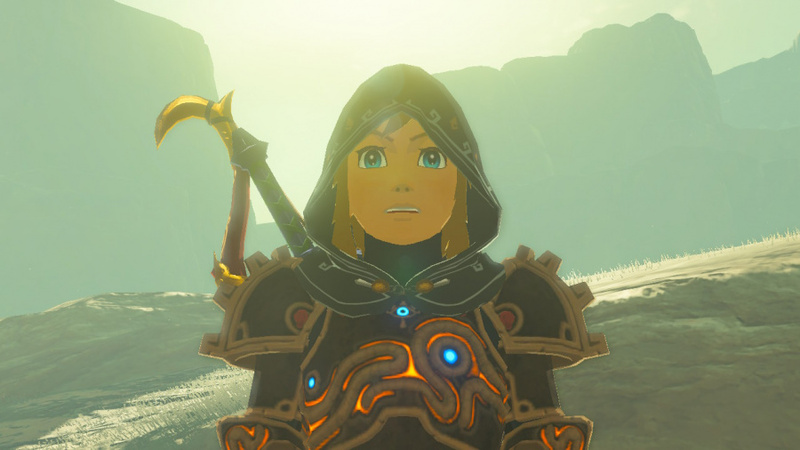 It's official: Zelda is Dark Souls now. I am not sure where the Coliseum is. But it's something to hunt for now. Thanks. Nothing as inventive or creative as that. Just Barbarian armour, Sword fully charged and some food with attack boost properties. I'm waiting now for my sword to fully charge before taking on a red Lynel. When I first came across one, I bricked myself. Now after beating 2, I feel they're getting a tiny bit easier. I'm better prepared now. Looks like David fight against Goliath. Lynel has some signature moves so we can predict what will he do after that. The Magnesis method looks so brilliant. Also, the "Matrix" dodge is so awesome. Fought my first one yesterday. They are tough. I found that Stasis helps a lot...and attack up meals. I took several down hiding and throwing bombs. Takes some time but works. And mostly marking those locations to map with skull so no surprises! Where is our Lynel amiibo? I think that would look nice sitting with my Zelda collection! I beat my first Lynel yesterday. I'm so glad to see them back and be as intimidating as in the original The Legend of Zelda. I saw my first Lynel at the colosseum few days back and I just stared at it while it stared back and I was thinking: "Is that actually the same enemy from Zelda 1 that always gives me trouble?" and after 10 seconds or so it decided to attack with its bow and killed me with a single arrow. I had to do a quick Google search after that as I didn't remember seeing Lynels in other Zelda games but it seems they were in Oracle games, Link to the Past and Link Between Worlds as well. They are just so different looking in those that I never knew they were the same enemy. I love killing these guys because their weapons are pretty darn good, especially the bows. Lynels are now officially my favorite Zelda enemy. Stasis eh? interesting gonna try that out tonight! Thie first time a tried to kill one was in the colosseum ruins that one close to the Great Plateau, and after having all my weapons in pieces i ran away. This is what farming for star fragments will do to a man. I beat my first Lynel today. It was easier than I thought, but not easy like they make it in the video. I only struggled with the end when I had his Life low and he kept jumping and striking. I had a two handed sword so it was hard to switch back and forth from my shield to parry his attacks. Otherwise I blocked most of his attacks. Granted it was a red one because I am only about 30 hours in and have only seen three Lynels on my quest. Being able to save right before fighting helps. It takes the pressure off. I haven't come across a Lynel yet in my playthrough but when I fought one at my brother's house they were very challenging. 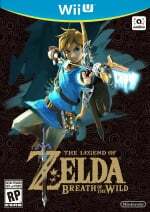 A welcome change to Zelda games since they typically are more about fun than challenge. Wow, those guys are real badasses! And what all four of them have in common is: they're really good at blocking and evading. I still don't use these techniques as often as I should. What is even more shocking to me though: WHAT, there are metallic rocks?! But hey, these videos have given me great inspiration for my upcoming Lynel battles. I remember the first time seeing a Lynel. It just gave me this look. This look that said GO. AWAY. I stared at it, it drew its bow. Yep, I'm out. Looked way tougher than it did in the old Zelda, that's for sure. Took me a while before I'd even dare to fight one. If only I'd remembered that shields were for blocking and not just decoration. Ah well, nothing a ton of arrows and Stasis can't fix. These videos were sooo awesome. I am in awe. @GravyThief it also depends on which lynol cause some lynol's are weaker then other's the one during zora quest i kept getting hit like crazy but it barely did damage. I don't even hit them unless I go for a mount. I fight just by shield countering everything, shooting them in the face and them mounting for damage. @ShadJV you can beat them without wearing any of your weapons down, just hit them in the face with an arrow and then mount, then mash your attack button a bunch. After 6 times of doing this even the silver mane Lynels will drop. Helps if you can deflect their attacks by timing with your shield. Awesome videos! I saw the rock-one yesterday. I haven't encountered the Zebra-Lynels yet. Needless to say: Lynels where a pain in Alttp and Albw, they are a gigantic pain here! These vids are amazing and it shows what a superb game this is. The guy using magnesis and the rock gets an A+ for creativity. Stopped watching because of spoilers! I tried to use the Spring Hammer to send a White maned one flying and failed. Has any killed one with chickens? The 20 second kill is certainly not mastery of the game... they've just got all of the most overpowered equipment... it's probably the BotW equivalent of pay-to-win... there's next to no skill involved. The crouching against the club spin is a clever trick... each attack has an easy way to deal with it, but that one I hadn't figured out yet, so is handy to know. The pot lid and ladle is the most impressive, as that takes the most skill to achieve, but I doubt they can do it every time... they were probably using the barbarian set to shorten the fight to reduce their chance of failure. The magnesis one isn't too hard either... keeping your distance is fairly easy to do (especially against a spear-user), and magnesis is an easy way to do damage at range... plus it helps that they were only facing a standard Lynel. 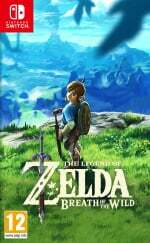 Anyone else bored silly with BOTW. I know i am.